Melbourne looks poised to welcome a new 180-room hotel in South Yarra that will debut as Australia’s first Moxy hotel by the Marriott International chain. The 490sq m site, located at 30-32 Claremont Street, was bought for $6 million in 2017 by businessmen Hector Ktori and Peter Arvanitis and previously housed an office block. The new 180-room high-tech hotel, targeted at younger travellers, will feature highly social spaces including a high-energy lounge, 24/7 self-service grab-and-go food and drinks, ample plug-ins for personal devices and "furiously fast" free Wi-Fi. The Melbourne Moxy will also feature a rooftop bar overlooking the city skyline as well as a state-of-the-art gym. 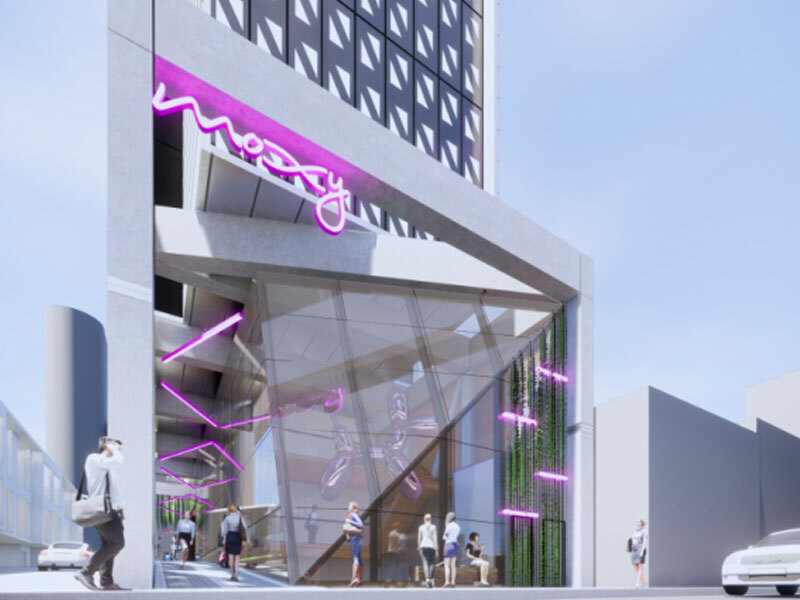 “We’re really excited to partner with Marriott International to bring the first ever Moxy to Australia,” Moxy Melbourne co-owner Hector Ktori said. Moxy Hotels currently operate in Europe, North America and Asia, with 80 properties within its development pipeline around the world. The new hotel, designed by architectural firm Rothelowman, is slated to open mid-2021.